We’ve all seen mobile home parks. Maybe you regularly drive by one in your city, and maybe you’ve even thought about buying a mobile home yourself. Maybe you have lived in one. An estimated 20 million Americans hang their hats in a mobile home park and call it home. But did you know that owning a mobile home park can be an incredibly lucrative business opportunity? That’s right: owners of mobile home parks have the ability to make a very successful living. In fact, there are actually several advantages to owning a mobile home park. While costs for tenants who actually live within parks are relatively low — an average of $280 per month — parks with even as few as 50 spaces have the opportunity to make over $100,000 per year. If your park has 250 spaces, that’s more than $500,000 per year in potential earnings. Even though rents for space in mobile home parks are on the lower side when compared with land ownership and house or apartment rentals, they are trending up. In fact, rents have been growing at a faster pace than inflation over the last decade. This is because, as more of the middle class gets forced into affordable housing situations, they are prepared to pay slightly higher rents than traditional affordable housing tenants. When it comes time to sell your mobile home park, you should expect to see a capitalization rate in the range of eight-to-10 percent. This means you have the potential to make as much as 10 times your annual net income on the sale. So even your smaller, 50-space park could sell for $1 million. This is a pretty good sale price for a business that holds no inventory, likely needs a very small staff (if it needs to be staffed at all), and requires very minimal and occasional upkeep. Because there will likely be no shortage of demand for mobile homes in the near future, owning one falls under the category of a recession-proof business. As the middle class continues to shrink, more and more Americans may find themselves in need of a more affordable housing situation. Since apartments may be undesirable to some, the next best solution is a single-family home in a mobile home park. As long as you keep your park in shape, you’ll likely have plenty of interested tenants. Mobile home parks are the only type of real estate that can no longer be built. This means the supply is permanently capped. In accordance with the rules of supply and demand, the demand will only continue to rise, while the supply will remain the same. While all of these facts and figures might seem appealing, owning a mobile home park, like any business, is not without its challenges. Here are some things to consider before you decide to jump into mobile park ownership. Potential issue number one: because the supply of mobile homes has been capped, the availability of mobile home parks for sale is quite small. If you really want to buy a mobile home park, you may have to be patient enough to wait months or years for one to become available. Alternatively, you could also relocate to another part of the country when you find the perfect mobile home park for you. 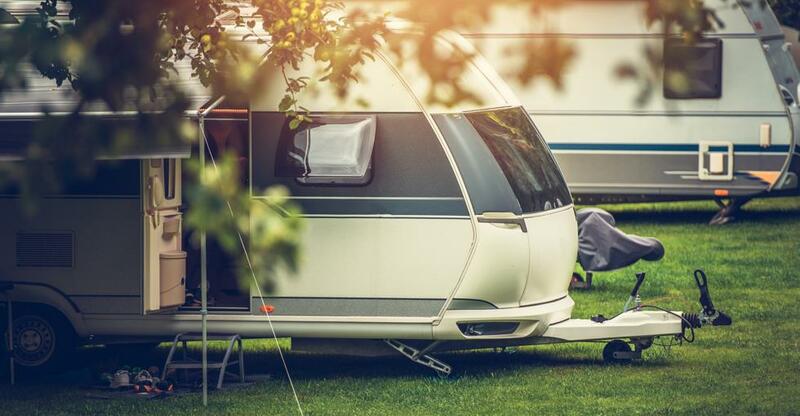 While owning a mobile home park is a relatively low-cost business venture, the very few expenditures you can expect to face have the potential to be quite large. Each mobile home park is comprised of lots and roads, and you are responsible for maintaining both. So if a road is damaged or in need of serious repair, you can expect to shell out large amounts of money to fix it. For this reason, you’ll need to have a large reserve of financial resources available to you at any given time. Just like any other landlord, there is always the potential for unruly or financially unstable tenants. In such cases, eviction may be warranted or necessary. In many states, eviction laws tend to favor tenants, which may make eviction more difficult for you as the landlord. Additionally, when it comes time to physically evict a tenant, you must pay to move their actual mobile home, because it is personal property, just like the contents of any rental home. This can be quite a costly venture, especially if the tenant does not comply with your requests. Unlike other single-family homes, mobile homes do not have a foundation or a solid roof. Given the structural composition of a mobile home, they are infinitely more susceptible to natural disasters, such as hail, tornadoes, and hurricanes. The latter two have the potential to take down an entire mobile home park in minutes — or even seconds — flat. While your park itself may remain intact, you will have to wait for tenants to get back on their financial feet, or attempt to fill vacancies, which may take time as well. As with any business venture you may be contemplating, there are upsides and downsides to owning a mobile home park. To learn more about buying a mobile home park, and get an idea of the inventory available, visit our website.